The last year of Hudson's fabulous Hornet line was 1957, and the following year it was dropped from AMC's lineup and replaced by the Rambler. 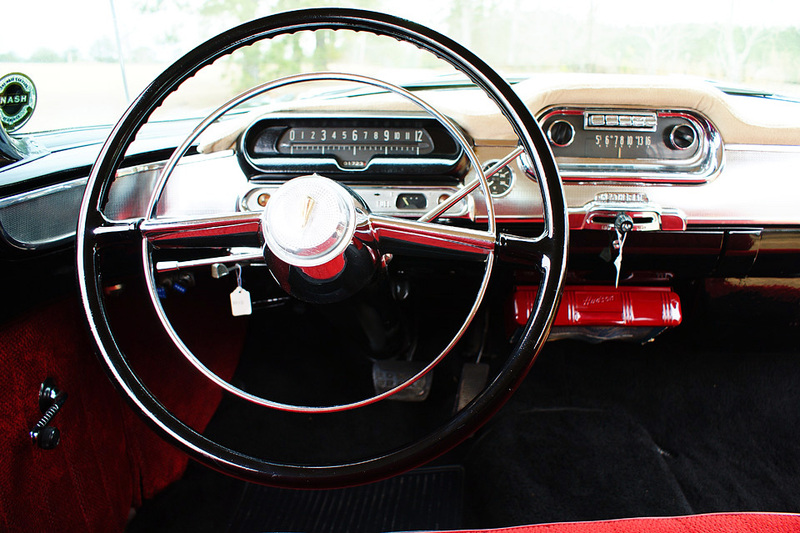 The Hollywood 2-door pillarless hardtop was the one to get and even in limited production, it seriously reduced the world's supply of raw chroming agents. 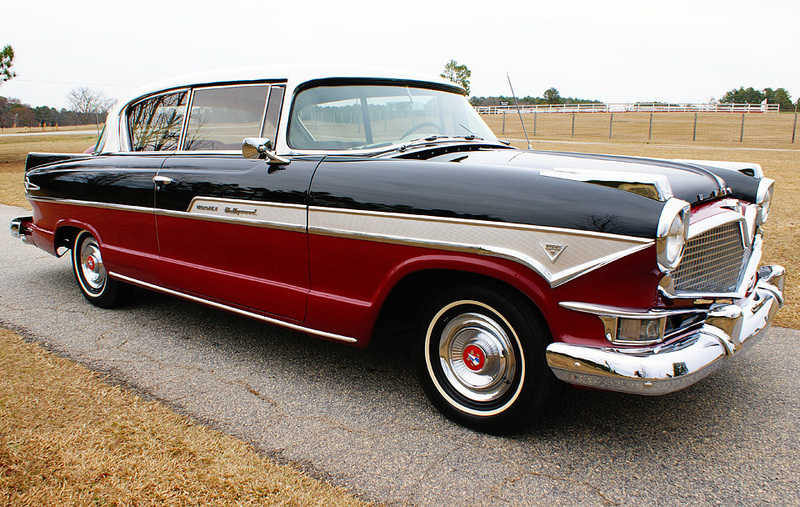 This 1957 Hudson Hornet Hollywood is in excellent condition, currently bidding on ebay for $17,600 with 1 day to go and located in Appling, GA.
First, we want to say that the Hudson Hornet is an incredibly cool car and we'd pick one over the bucketful of over-restored and tubbed '57 Chevys floating around the internet. 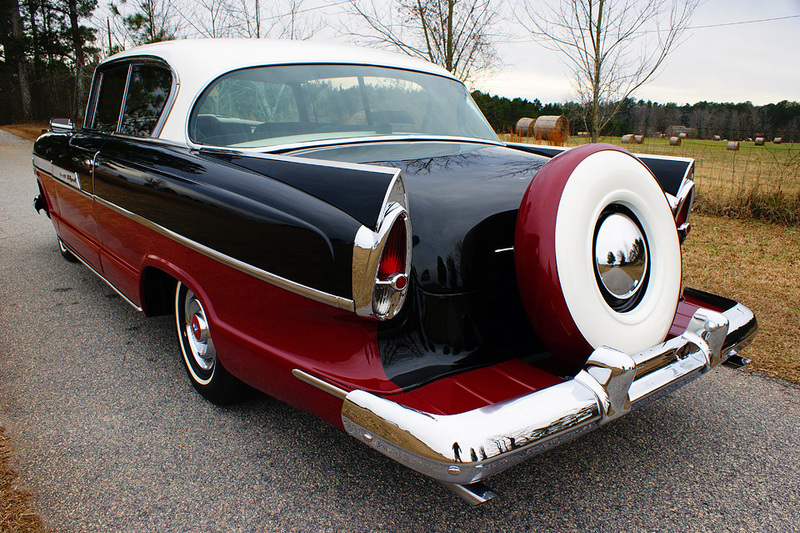 The Hudson Hornet reached the pinnacle of chrome and fin styling in 1957, with a large egg-crate grill, a tri-tone paint scheme, twin-fin trim on the front fenders and 'V-styling' incorporated into just about every surface. 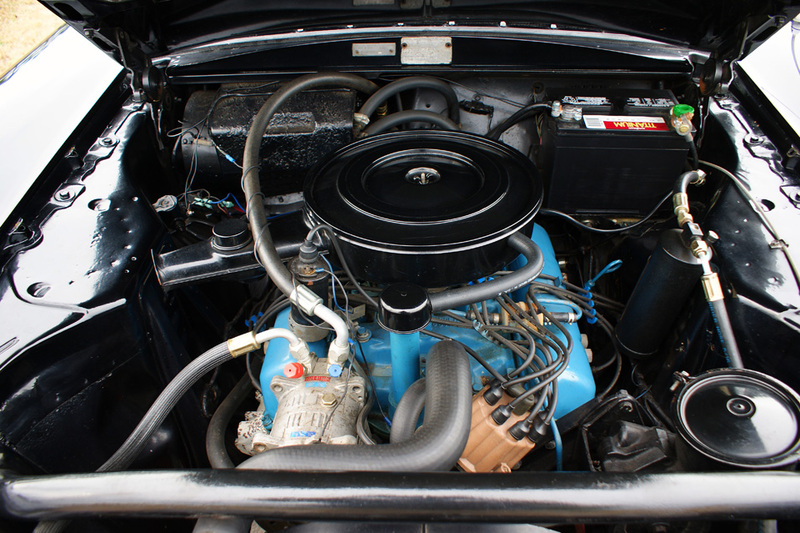 The engine in this Hornet would have originally been AMC's 327 V8, a 5.4 liter V8 that put out 255 horsepower, but the seller states it has a rebuilt 360, which would have come from a 1970-87 AMC vehicle and could have put out anywhere from 160 to 295 horsepower. We are somewhat surprised to see a non-stock engine in such a beautifully restored classic, but it probably makes more power than the original engine with negligible downsides. 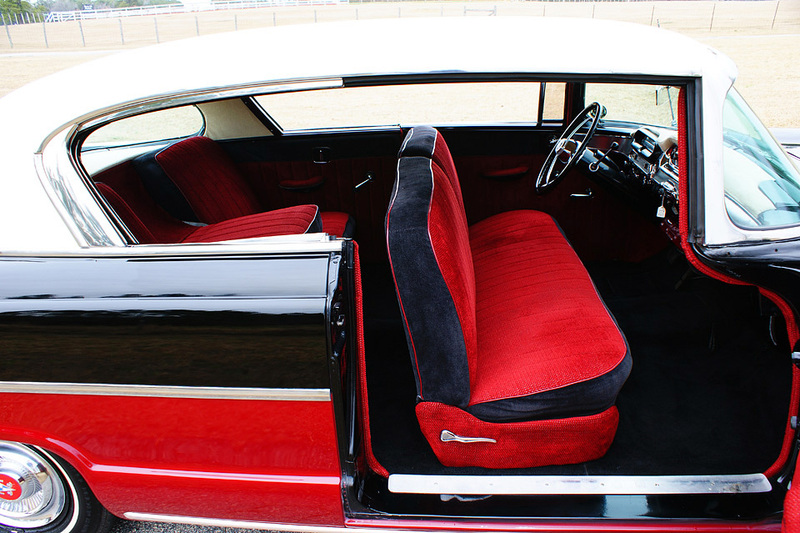 A peek past the pillarless window opening shows an immaculate interior covered in a crazy red/black color scheme. The effect is quite dramatic and the restoration looks to have been very thorough. The styling at the rear of the 2nd generation Hornet includes an awesome rear spare-tire holding step. Loading heavy stuff in and out of the trunk will be an exercise in lumbar disc herniation, but the chiropractor bills are a small price to pay for all this style. It is strange to see this example bidding for below $20k right now, given the rarity of the Hudson at 3100 units for the entire year...versus 720,000 for '57 Chevys...not that we don't like a nice '57 Chevy. The post-merger AMC designed 2nd-gen Hornet strayed from the awesome step-down styling and sleek custom style of the 1st generation all-Hudson car, and was really just a Nash wearing a bowling shirt. Nevertheless it's a cool piece of '50s Americana at a bargain price. I just splooged at my desk. ~ kool Kelvinator. nifty Nash. handsome Hudson. if you suffer back problems the chiropractor can give you an adjustment on the fold-down front seat. Geez, a tarted up Rambler with every tacky styling trick possible. Hudson died a shameful death. Saw a 1957 Hudson Hornet way back in the latter part of the 1960's in New Zealand. It was in beautiful condition. Finished in a salmon pink with metallic grey & it had a white roof. V8 power, 4spd auto....it had light green tinted windows. It put every car in the parking lot to shame!